Montreal computer solutions and website design. 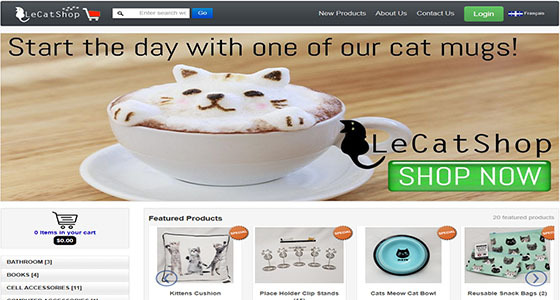 Website Design services in Montreal, Quebec and Canada. Microsoft MCSE certified engineers and technicians. We don't just fix, we innovate I.T. Montreal SEO website optimization services. Keeping you on top of your game! Website, domain, application and database hosting in Montreal Quebec Canada. Dedicated servers. Specialized server set up and administration in Montreal. Windows Server 2016, Exchange, Sharepoint, SQL Server 2016. Montreal Website programming, custom development, Wordpress, Website security, graphic design, video production, website marketing. We have over 19 years of experience in I.T. We have set up large networks, fixed computers, installed and managed servers, set up secure networks and much more. We can handle any I.T. project large or small and offer the best and quickest service. We're Microsoft certified and have security clearance. We have over 20 years of experience designing websites. We started building the internet and continue to build it it today. When you hire Webenergy to build your site, you get a custom-made website that's mobile-friendly, inspiring, unique and satisfaction guaranteed. Ask us for a free quote. We manage and maintain our own dedicated server farm in our Canadian data center. 24/7 365 uptime with reliability and security. Our servers have the latest technology and hardware. We offer Exchange 2016 business email hosting and Microsoft SQL Server 2016 database. What makes Webenergy different ? We have 20 years of experience, education and the most knowledge in the industry. We have extensive experience with servers, networks, Windows operating systems, and I.T. security. We also have extensive knowledge and experience with internet & web technologies, social media, SEO and website marketing. Because we have been in the industry for a long time, we have analyzed many different software and hardware technologies. We use this experience when we suggest and propose technology for your business. We do it right the first time, on time and on budget. We partner with the best to provide the best. 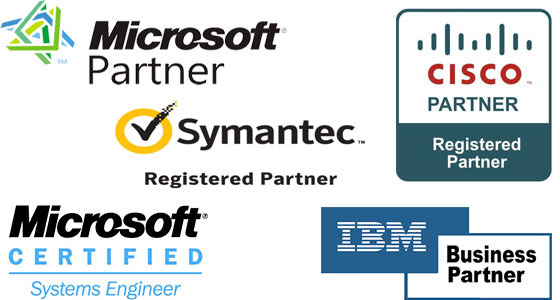 Our partners include Microsoft, Cisco, IBM, Google and Symantec. These guys are fast and reliable. They keep us up and running! They know their stuff and saved me money. I gave them complicated tasks and they made them look easy. Our website looks great and is #1 on Google, can't complain about the results! For small to medium-sized business this makes the best economical sense. We provide reasonable rates and various contract options to manage any sized network. Ensure your data is secured, backed up and accessed by the right people. It's vital to keep your documents and data available without the risk of security or corruption. We offer data management services in Montreal that keep your data safe and secure. Talk to us today about a disaster recovery for your business. Many software applications have specific hardware requirements. AutoCad for example has specific hardware requirements to run. Having the right network hardware ensures fast data transfer through wired or wireless communications. Ask us to come and do a network assessment at your Montreal business today. Business communication is a vital component to any business. VOIP phone systems, smartphones, WiFi and networks make up the communication avenues for your business. We ensure these systems are running efficiently and securely. We can also set up VPN and remote access to computers. Your website is your storefront window to the world. We custom design websites and tailor them to look fantastic and do the job of bringing customers to your business. Featured project - West Island Flea Market. A Social media presence is almost as important as a website today. With the amount of people on various social media platforms, it makes sense to have a Facebook page, Instagram account and Google+ page. We can get a social media following for your business! You have a great site but no traffic? You need to be ranked in Google, Bing and locally in your area or in your business industry. We can do a traffic analysis of your site and develop a plan to bring more traffic and give you more presence on the web! We offer better rates than our competition, and we will beat any competitor's quote. Ask us about a free network assessment with report at your business. Need a website, business email hosting, Traffic analysis or SEO assessment?